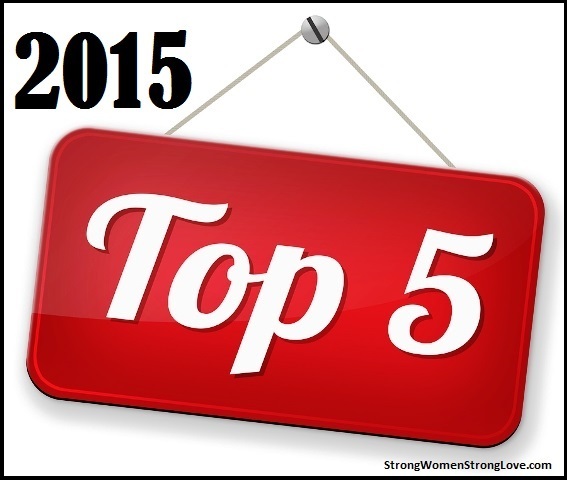 Thank you for the nearly 40,000 visits to the Strong Women, Strong Love blog this year! I hope that you found resources here to nurture and enhance your marriage. 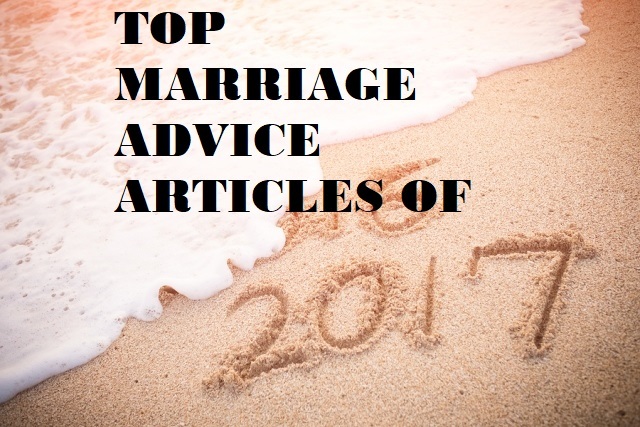 As 2017 winds down, I wanted to look back on some of the most popular marriage advice articles published this year. This article looks at attachment styles as a framework for understanding your marriage. Your attachment style was shaped by the family you grew up in, and it continues to influence how you approach relationships. For example, if your early caregivers were loving, responsible and reliable, you’re probably comfortable with emotional intimacy and trusting others. But if your caregivers were unavailable or unresponsive, you may have trouble seeking closeness with others. Knowing your attachment style and your husband’s can be an important first step toward improving your marriage. Learn more: If you found the article on attachment styles useful, you may also want to read Chasing Doesn’t Work (No Fooling!). Chasing is a common pattern when someone with an ambivalent/anxious attachment style marries a partner with an avoidant attachment style. What does it mean to be honest and authentic with your spouse? You and your husband might have very different answers to this seemingly simple question! Some people have a let-it-all-hang-out philosophy, but their spouses might feel attacked by their bluntness. Again, your feelings about what should — and shouldn’t — be shared in a relationship were probably shaped by your own family. Talk with your husband about how each of you defines honesty so that you can understand and navigate your differences. Learn more: For some advice on blending honesty with compassion, see my article Strong Women Mistake #2: Brutal Honesty. A miscarriage is one of the greatest heartbreaks a couple can share together. Sometimes misunderstandings between partners can compound the pain. You may feel hurt and confused if your husband seems unemotional or indifferent after a miscarriage. But he may be acting this way out of a desire to protect you and not add to your burden. It helps to be very clear with him about the kind of support you need. Learn more: If struggles with infertility have you worried about your marriage, my article Will He Leave If You Can’t Conceive? should be reassuring. In an overwhelming majority of marriages, one spouse’s inability to conceive a child is not a deal-breaker for the other partner. The above three articles were the most popular ones published in 2017. But by far, the most-read post on the blog is this article on separation that I wrote in 2015. This post has generated ongoing discussion since it first appeared, with commenters opening up about their own experiences with separation and offering each other support and compassion. If you’re going through a separation now, know that while you can’t do anything to make your husband return to the marriage, you’ll have a better chance of saving your marriage if you can avoid acting from a place of fear. Thank you again for reading the Strong Women, Strong Love blog in 2017. I wish you and your husband much love and joy in 2018. If there are relationship topics you’d like to see me cover on the blog next year, just drop me a note or a comment on Facebook. I hope you and your family are enjoying a wonderful holiday season! As 2015 draws to a close, I wanted to look back on the most popular posts during the past year. While these articles have marriage advice you can use all year long, some of these ideas are especially helpful during the busy holiday season. If you get stressed out at family holiday gatherings, you’ll definitely want to check out this post. Our brains can go into fight-or-flight mode when we’re tired, overwhelmed or feel threatened — even if the “threat” is just criticism from a family member. We feel flooded with negative emotions that are hard to snap out of. If you feel like you’re about to flip your lid — a couple of warning signs are getting defensive and having trouble truly hearing others — that’s a signal to stand down for a while. Get away from the fray instead of pushing yourself to keep up with the holiday rush. As a couple, plan ahead for a little quiet time (like a quick walk) together in the next few days to head off any flip-outs, especially if you’ll be around relatives who have a knack for pushing your buttons. One reason certain family members might drive you crazy when you see them is that researchers have found that our brains process physical and emotional pain in much the same way. The insights in the post might help you understand more about why it’s so difficult to be around a distant and withholding parent or a contemptuous sibling. I hope this post will also be a reminder that seemingly small rejections — like mocking your husband’s driving in front of your family — can have a big impact on your relationship. Yes, this post is about a different holiday, but it has some ideas you can borrow this time of year as well. If you’re stuck on a gift idea for your husband, consider planning an experience to share that’s exciting, that helps you grow or that changes up your routine. Whenever you add novelty and variety, you stoke the fires of passion in your relationship. If you want to set a 2016 resolution for your marriage, make it to cultivate an atmosphere of mutual respect in your relationship. What I wrote in this post, which was the blog’s most popular article from 2015, is still true: “Respect is the very soil from which true love sprouts.” But you don’t have to wait until the new year to restore respect if it’s been lost in your marriage. Listen to each other, even amid the holiday hubbub. Compliment each other in front of your family members. Share a laugh about the fact that you love sentimental presents and he loves gag gifts. If you’d like to read more marriage tips like these, consider purchasing my book Strong Women, Strong Love as a gift for yourself and for your husband. You’ll find lots of ideas to keep your marriage thriving even amid our busy lives. Catching up on your reading during the holidays? 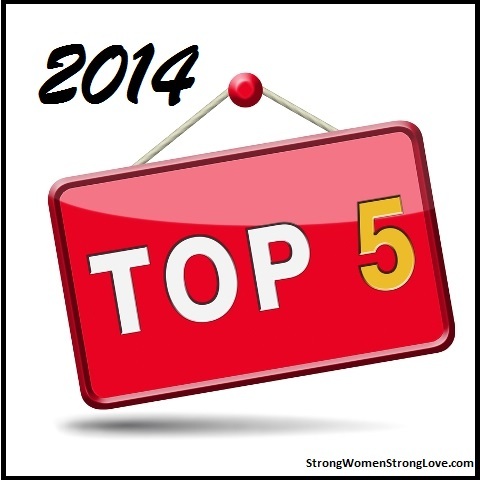 This week, I’m counting down the most popular posts of 2014 from the Strong Women, Strong Love blog. Each of these posts is a quick read that will give you insights you can use immediately in your marriage. We all want appreciation and validation in our relationships. Researchers have even shown that couples need lots of positive interactions for their marriages to thrive. So what should you do if your husband isn’t saying thank you — or even noticing! — everything you do for your family? Read this post for tips on making your marriage a more appreciative one. Need a quick dose of inspiration? Blog readers this year really responded to this lovely quote by the Sufi poet Hafiz. This is another short and sweet post that readers liked. It’s a reminder to be brave in relationships even when you feel like putting walls up. The second most popular post of 2014 debunks all the unrealistic — and even contradictory! — advice women get barraged with about how to be “irresistible” and “seductive.” Check it out to learn why authenticity is the most attractive quality of all. Do you ask your husband to do something, and then follow up to make sure he has started and is doing things right? Do you get mad and redo work your husband already completed because it doesn’t meet your standards, and you know you can do it better? If that sounds familiar, you might be micromanaging your husband — and damaging your marriage. You’re not alone. This was the most popular post on the Strong Women, Strong Love blog in 2014. Read it to get tips on breaking the habit of micromanaging. 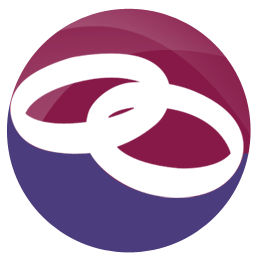 What marriage topics would you like to see covered on this blog in 2015? Leave a comment, send an email or connect with Strong Women, Strong Love on Twitter or Facebook to share your ideas.